Get Tickets for the Finials HERE!! The World Karaoke Championships are back for 2019, and every Wednesday in May is your chance to be part of history!!! A Karaoke Dream come true, one man, one woman, and one duet, will be chosen from all the wonderful singers that come and try out!! Come sing with us and win!! 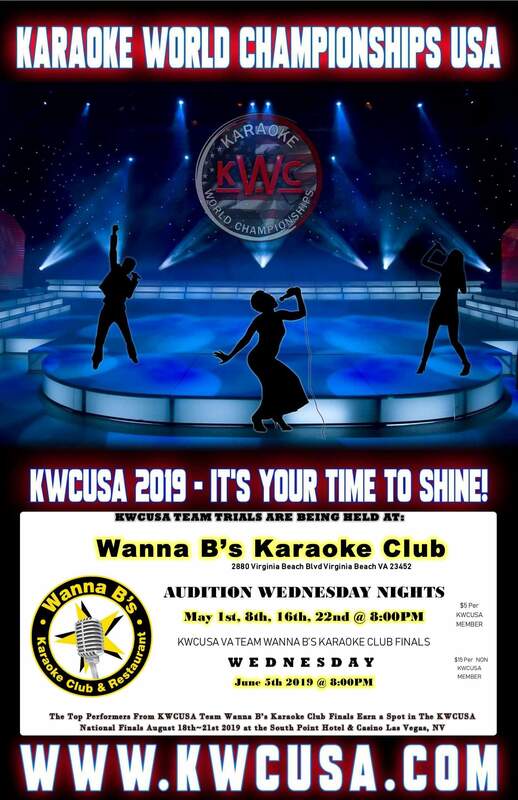 The Karaoke World Championships USA KWC USA is auditioning singers at Wanna B’s Karaoke Club in Virginia Beach! The Mid-Atlantic Region of the World Karaoke Championships is looking for Singers to represent the USA and bring home the Gold with our best talent! 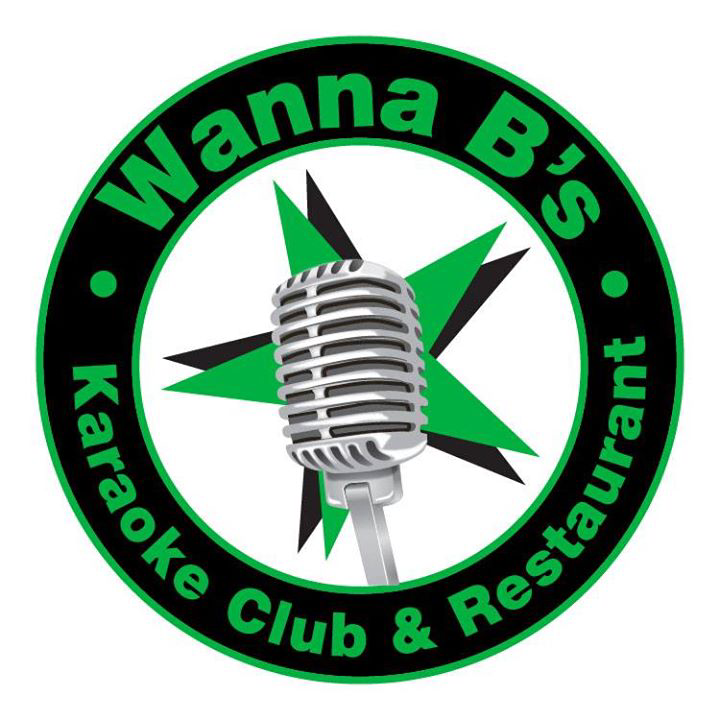 Wanna B’s is the venue in Virginia to Qualify for the Karaoke World Championships USA National Finals being held in Las Vegas Nevada at South Point Spa, Hotel & Casino! -Vocal quality- Are the singers on key, flat or sharp, & vocally controlled. -Vocal expression- Are they showing they connect with the song and really push that feeling through to the audience. -Stage presence- Do they use the entire stage in an appropriate way or do they just stand there in one spot. -Overall entertainment- How entertaining the overall performance is to each judge and the audience as a whole. The Venue Finals will be at Wanna B’s Karaoke Club June 5th from 7PM to 10PM where the Top 4 Male and 4 Female will place into the Virginia State finials as Wanna B’s venue champions!! Also, for the first time we are auditioning duets for the KWC!! This is the first time we are looking for duets but they have pretty high standards because the USA got the Gold Medal last year at the World Karaoke Championships, so we want to see the BEST you got!! The Karaoke World Championships USA National Finals are at South Point Las Vegas Hotel, Casino & Spa from 18th to 21st of August, 2019, and our winners will have a chance to win Cash and Recording Time. Get your passports ready because the Karaoke World Championships 2019 World Finals are in Tokyo, Japan Nov 26-29, 2019! For a $10 entry fee for solo acts and $20 for each duet act, along with the signed talent release form, all patrons 21+ can compete in the trials. Come sing with us and WIN!! !